Although Sebok is far from a household name like Annie Duke and Phil Hellmuth, he is well known in poker circles both for his solid play as well as being the founder of pokerroad.com –an online media outlet where he gives poker fans interesting perspectives on the ins-and-outs of the poker world. UB has been very busy lately signing fresh players to help promote their brand –Brandon Cantu, Liv Boeree, and Adam Levy—as well as adding a downloadable version of their software for Mac users; one of only a handful of online poker sites to offer this feature. Sebok will not only represent UB as a poker player, but will also be working behind the scenes to help create a more user-friendly poker-room. Sebok was one of the most outspoken advocates for players who were harmed from the cheating scandal that plagued Ultimate Bet in the past. Bringing Sebok in as a Team UB member shows that the scandal is finally receiving some closure. UB (and its sister site Absolute Poker) is part of the Cereus Network, which flip-flops with the OnGame Network as the 5th most trafficked poker site according to pokerscout.com. Earlier this year Cereus was as low as #8 on pokerscout.com, trailing Everest Poker and IPN, but has been steadily climbing ever since. Check out Ultimate Poker Search, to find the best tournament that you are looking to play online. 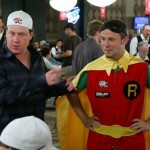 This entry was posted on Tuesday, September 22nd, 2009 at 7:06 pm and is filed under Poker News. You can follow any responses to this entry through the RSS 2.0 feed. You can leave a response, or trackback from your own site.